General purpose roof flashing for tiled roofs. 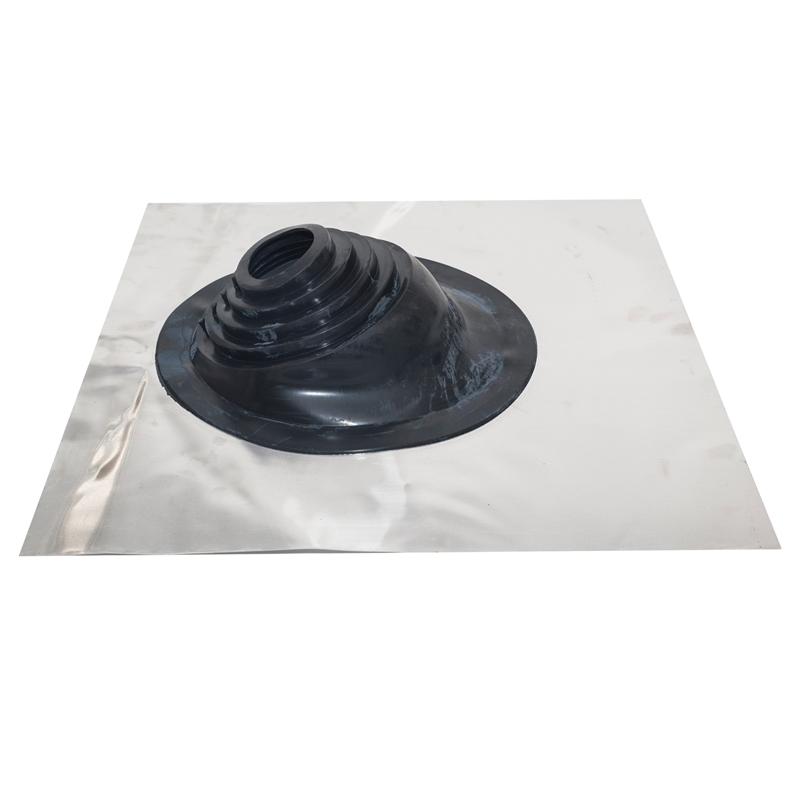 Centre cone is manufactured from EPDM rubber for maximum UV protection. Aluminium is a 550 x 550mm square sheet. Suits flue pipe from 75-200mm diameter. Just cut the EPDM to fit the correct diameter.